For most of us, a ‘luxury treat’ might come in the form of a new Chanel lipstick, or a hot stone massage at the local spa. For those lucky few women who go to Knightsbridge to actually spend money (rather than to point, gawp and feel like a pauper), ‘luxury treat’ takes on a whole new meaning. Clarins Extra-Firming Night Cream was voted best anti-ageing cream by Elle readers last year and at £48, it counts as a ‘luxury treat’ in our books. But for women who drive bespoke sports cars and own Caribbean islands, this comparative bargain simply doesn’t make the cut. 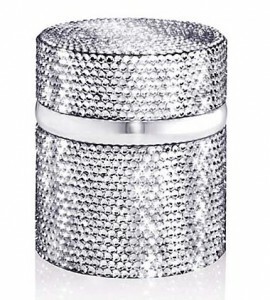 In Harrods you can find La Prairie Swarovski Edition Skin Caviar Luxe Cream for £1,400. This is the price of a Mediterranean cruise, or a high-powered laptop. 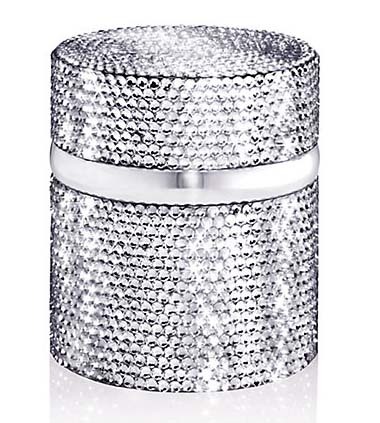 This very blingy product (studded all over with Swarovski crystals) promises to hydrate the skin with an ultra concentrated formula for a softer, firmer complexion. Of course it’s not worth the outrageous price tag but it’s certainly a statement, and if you’ve got the cash to splash – why not? You can view this very special edition Skin Caviar Luxe Cream here. A little further down the price ladder but no nearer to justifying its worth is 111 Skin Celestial Black Diamond Night Cream at £599. This skin cream is allegedly developed with the latest scientific technology to rebuild and protect the skin. As well as some potentially made-up ingredients (N-cystine and centella asiatica), this night cream also contains black diamond miscrospheres which apparently ‘delivers key youth preserving ingredients’ to the skin. If you fancy a bit of diamond exfoliation yourself then you can view 111 Skin here. For something a lot more down to earth but no less luxurious, try Tom Ford Intensive Infusion Concentrate Extreme for £185. While we’re closer to normal prices, this is still an awful lot of money for just 30ml of cream. However, because we love Tom Ford’s brand for its classic, no-nonsense approach to cosmetics, we’re prepared to forgive him this time. Here there’s not a crystal, diamond, or caviar bead in sight. This dermatologically tested serum claims to rejuvenate the skin’s complexion with a combination of vitamins and nutrients. Simple enough for us! You can view Concentrate Extreme here. If you would prefer to spend money on a professional treatment, please visit our Facials page for more information.